Mid century homes are primarily those built in the 1950s and 1960s and may feature a mid century, modern style that many of today's homebuyers are in the market for. These homes often have long sloping roof lines, large windows and are typically single story homes or they'll have a daylight basement. They're perfect for restoration and even though they're not classified by architecture, the term "mid century" usually has a distinct design. Most of the time when someone thinks "mid century" they might be thinking of the Brady Bunch home. This unique, strong line, architectural style that was prevalent in the 1960s and even into the 1970s. 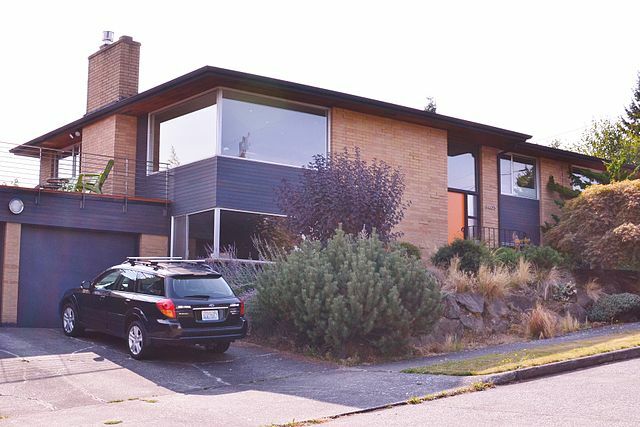 It was very modern and contemporary for its day and age but today, these mid century, modern homes are being renovated to preserve that unique, "modern" contemporary style and there are several around the Seattle area that might fit this genre. Many of these homes may have an additional second story that may have been added at a later time. Also, many mid century homes may have a daylight basement where the majority of the living spaces on one level and then the top biography of the lot slopes downward so that there is a daylight basement and maybe one or two more bedrooms. Mid century might also be an era dating back to the 1950s and 1960s. Think Mad Men. Someone like Don Draper would love to have lived in one of these homes. This mid century modern design is typically a collection of designs built from roughly the 1940s to the 1970s. Mid century modern homes were inspired by a high style prairie architecture. Architects such as Frank Loyd Wright stated that modern US architecture form no longer followed function but form was function. These homes tend to be slightly ornate and include upscale details such as exotic woods and stained-glass but not a lot of ornate features such as you'd find in a Victorian or historical home. Its simplicity, clean look, encompassing international, contemporary and organic with flat roofs instead of the traditional A-frame. Most of these modern homes are a contemporary style for their era. You'll find lots of windows and more natural materials such as wood, brick and stone. Roof beams and feelings are typically exposed with Windows just below the roof line and an asymmetrical front porch area. Many mid century homes are what architects would consider "organic" blending natural shapes and non-rectilinear geometrics. These homes are sometimes built over waterfalls, trees or rock formations. This type of home can fit its surroundings rather than the other way around. If you're looking for mid century home with this type of style, feel free to browse all of the listings below that were built between 1940 and 1960, however, if you're looking for a specific architecture contact my office today and I would be happy to do some research and customize a list of homes that meet your exact search criteria and budget. Warks R B 2nd Bldg.